GIGABYTE Media Party at COMPUTEX 2016 | Computex Parties - The first directory to find all parties held during Taipei Computex show! 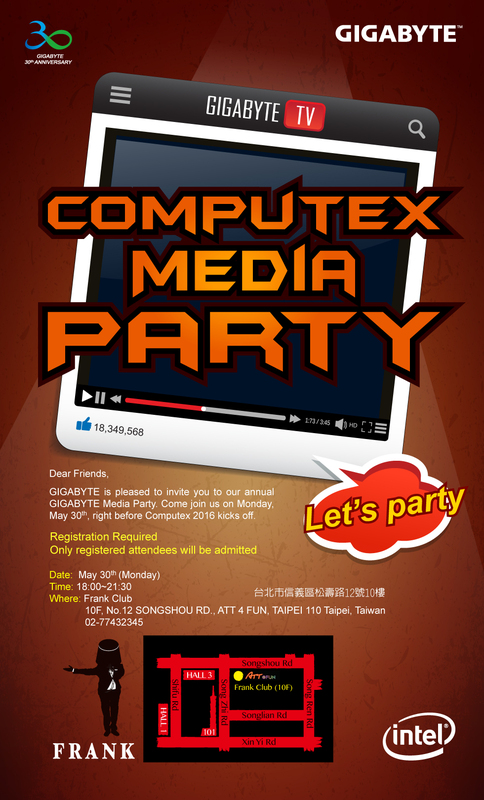 GIGABYTE is pleased to invite you to our annual GIGABYTE Media Party. Come join us on Monday, May 30th, right before Computex 2016 kicks off. Only registered attendees will be admitted. Please contact your Public Relations partner or GIGABYTE contact window for invitation.